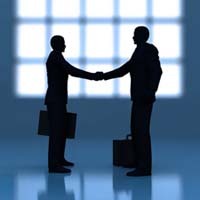 3CX and snom have announced that interoperability testing between their products has been completed successfully. This certified interoperability ensures that small and medium businesses have access to a reliable and affordable VoIP solution when using 3CX’s software-based IP PBX for Windows together with snom’s VoIP-based products. Businesses looking to replace their traditional proprietary hardware PBXs with an easy to install, manage and use VoIP Telephony system can now benefit from the very cost effective combined solution of 3CX Phone System for Windows and snom’s VoIP phones, knowing that it is and fully supported by both vendors. Furthermore, businesses can now easily implement a complete telephone system that helps them give employees mobility, rids them of costly phone tag and reduces administration and training time by IT staff. T-Mobile is rolling out a new system that allows you to use a cellphone account with any corded or cordless home phone. The system works well and is extremely simple to set up and use, but there are some drawbacks. Walt Mossberg shares his findings. Research and Markets has announced the addition of 2008 Latin America - Telecoms, Mobile and Broadband in Central America to their offering. iotum announces global availability of its popular FREE Conference Calls application on Facebook under agreements with Internet communications partners Truphone in the U.K., Abbeynet in Italy and MOI Telecom in France. AT&T announces the availability of AT&T Business in a Box, a service that harnesses the power of Internet Protocol communications to simplify IT operations for smaller and midsize businesses and branch offices of large businesses. The solution brings the advantages of AT&T's long history of innovation in the enterprise business market to the SMB market. Jaxtr has successfully completed eleven months of beta testing today and released version 1.0 of its service. The centerpiece of the new release is café jaxtr, a place where users socialize around the question: "What do you want to talk about?" With this 1.0 release, the company is also implementing its revenue model via the integration of text and display advertising within café jaxtr. Jaxtr also announced that it has surpassed the 10 million user mark, solidifying its position as the leader in social communications. Social communications is an emerging market adjacent to social networking; the focus of social communications is to give users unified access to and control over all of their text and voice communications from social networks, blogs and other forms of social media. Cambridge Consultants announces that it has secured a multi-million dollar contract with Florida-based xG Technology Inc. to design and develop their next generation VoIP wireless handset. 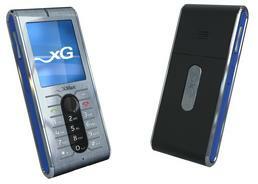 The handset is capable of wide area operation enabled by xG’s proprietary technology. The development, when complete, promises to bring considerable value to both consumers and network operators by substantially reducing the cost of rolling out a mobile network. Following on from the successful concept development phase, under this latest contract, Cambridge Consultants will provide a turnkey development – including industrial, electronic and mechanical design and user interface software for the TX60 handset on behalf of xG Technology Inc., a developer of revolutionary wireless communications technologies. Voipfone launched a brand new advanced telephone service using ordinary BT telephone landlines and existing telephone equipment. Voipfone’s new service means that customers can have many of the advantages of VoIP - like call transfer, call hold, music on hold and call recording – without actually using VoIP or even a broadband connection. Customers need absolutely no new equipment, keep their existing telephone number. In fact everything works exactly as it used to do - except calls are cheaper and new services are available – most of them free. AltiGen Communications and VoSKY announce a partnership bringing advanced Skype-based applications and cost savings to AltiGen’s VoIP solutions for call centers. The addition of the VoSKY Exchange VoIP application gateway to AltiGen’s complete line of VoIP Phone Systems will equip call centers with a new remote agent, Web Click2Call, VoIP trunking and global DID functionality utilizing Skype, the world’s largest VoIP network. CRM announces the availability of Vonage VOIP services fully integrated in the CRM platform. Vonage integration brings small businesses full integration with Free CRM and CRM ASP licensed products, providing one-click calling and automating phone dialing and outbound sales campaigns with Vonage. Businesses can realize tremendous cost savings and reduce complexity by taking advantage of Vonage VOIP services integrated within the FreeCRM.com product. FreeCRM.com was the first on-demand CRM product to integrate the Skype calling platform and is now the first to integrate Vonage VOIP services directly within the CRM system. Digium and Metaphor Solutions announce a partnership offering its On-Demand Plug & Play IVR application suite for the Asterisk market. Plug & Play IVR allows Digium customers to use the web to self-configure, customize, deploy, manage and report on high quality speech recognition-based application packages in minutes. Metaphor’s suite of web-configurable speech recognition applications provides businesses unprecedented access to cost-effective speech IVR solutions. Small and mid-size businesses can easily configure these speech IVR solutions to connect to their on-premise or managed Asterisk IP-PBX platforms. TalkShoe unveiled an iPhone application that allows mobile users to participate on a call with just their iPhone. The iPhone web application was designed specifically for the iPhone and displays all live TalkShoe community calls, which allow people to join calls of interest with one click. Community calls are being hosted constantly and bring together people to discuss topics such as sports, the latest in Mac innovations, pop culture, home winemaking, tips on financial matters, politics, religion, automotive trends and more. Now iPhone users can simply go to iphone.talkshoe.com, view the live and upcoming shows and join the call. VocalTec is participation at Mexico EXPO COMM, within the VON Mexico arena, Mexico City, February 26-29, 2008. At the event VocalTec will present its portfolio of NGN/VoIP solutions enabling the quick and smooth deployment of VoIP services. Specifically designed to meet the needs of emerging WiMAX and other Greenfield carriers, VocalTec provides end-to-end VoIP solutions together with ongoing project life-cycle management that ensure successful deployment and Return-on-Investment. 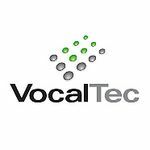 VocalTec invites customers, partners, press and analysts to meet and speak with VocalTec executives about the company and to learn more about our products and customer success stories in the region. SimplyWiFi SIP Phone by Wisecom Tech. SimplyWiFi allows you to chat and make free internet calls or low cost regular calls. It works wherever there is a broadband connection; offices, residential areas, airports, cafés, hotels and public hot spots. No laptop, headset or cables needed. SimplyWiFi is a small and light weight phone with high audio quality and an extraordinary talk time of 10 hours and 250 hours stand-by time. Smart navigation and a simple set-up make it easy to use and easy to set up. All functions can be configured on your phone by the operator before delivery. SimplyWiFi enables you to make encrypted calls over a radio link, handle your contacts and send instant messages, besides the traditional functions of mobile phones. The build-in WiFi functionality includes all common features such as DHCP, authentication and encryption. With its flexible open source Linux platform, SimplyWiFi phones can be designed to fit most VoIP software and technical standards, as well as specific industrial design requirements. 3CX releases version 5.1 of 3CX Phone System for Windows. The latest version of the award-winning IP PBX has an integrated 3CX Tunnel which simplifies firewall configuration by channeling all VoIP traffic over a single port; making it easy for remote workers to connect to their company’s PBX and for Network Managers to connect different remote PBX systems between them. Traditionally, firewall configuration for remote SIP / VoIP systems and/or extensions can represent a challenge, because it requires many open ports.